Southwest corner of 70th & Old Cheney in Lincoln. Ample parking is available surrounding the building. Handicap parking and reserved parking for seniors is available on the east side of the building. There are many ways you can walk with Jesus towards the cross this Holy Week and celebrate His glorious resurrection Easter morning! 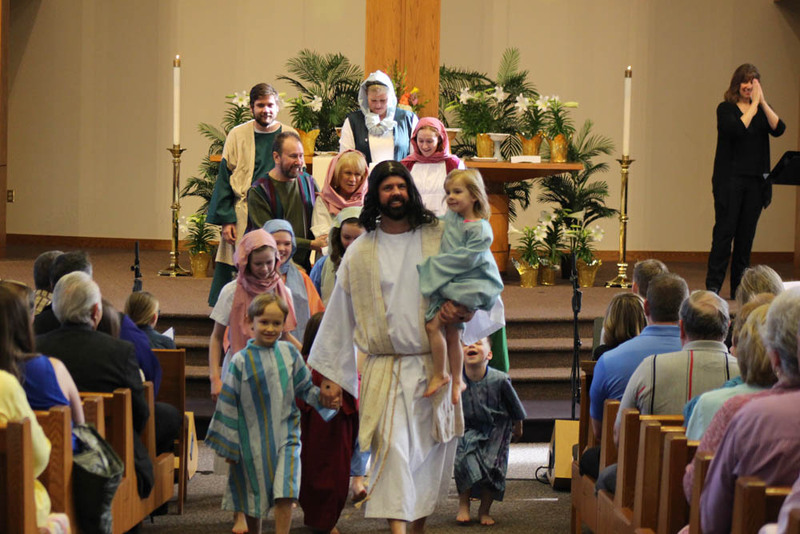 See below for ways you can experience Holy Week & Easter at Sheridan Lutheran Church. All Holy Week worship and events below. 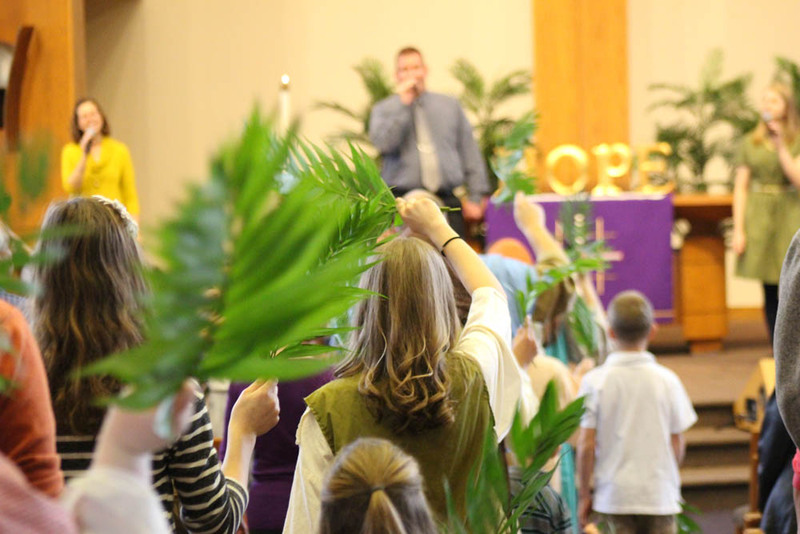 All children are invited to wave palm branches and follow the disciples throughout the Worship Center in worship. Take advantage of the Bake Sale after each worship service. Donations of baked goods are welcome to this annual event sponsored by the Women’s Ministry Team. Proceeds provide scholarships and support for Women’s Ministry retreats and events. 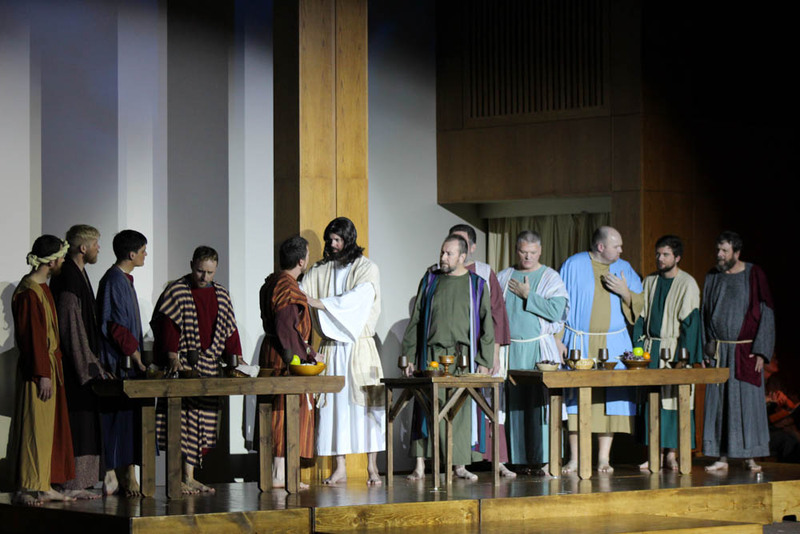 Maundy Thursday, also called Holy Thursday, is a service to commemorate Jesus' Last Supper and the beginning of our sacrament, the Lord's Supper. Our service will end with the solemn stripping of the altar, symbolic of the humiliation and stripping of dignity Christ faces for us on Good Friday. You're invited to journey with Jesus to the Cross during this special two hour worship experience. A message, choir music and the reenactment of the Last Supper and Crucifixion will highlight this most meaningful holy week worship event. The reenactment contains serious elements that may be difficult for some children. Child care is provided in Room 103 both evenings. In this traditional Good Friday Tenebrae Service, or Service of Shadows, we will read scripture of the last scenes of Jesus' life. Throughout this service, we will live into the darkness and sadness of Good Friday as we hear Jesus' dying words from the Cross. All are welcome to attend this very special gathering as we commemorate Jesus’ journey to the Cross. 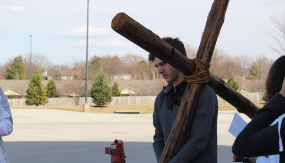 This youth-led event will feature scripture readings, meditation, Stations of the Cross, special music, and prayer. Join us as we walk in the footsteps of Christ and remember His final days. Please gather in the chapel. For many Easter is filled with joy, but for those whom this will be the first Easter without a loved one, this celebration of new life can raise up feelings of grief. 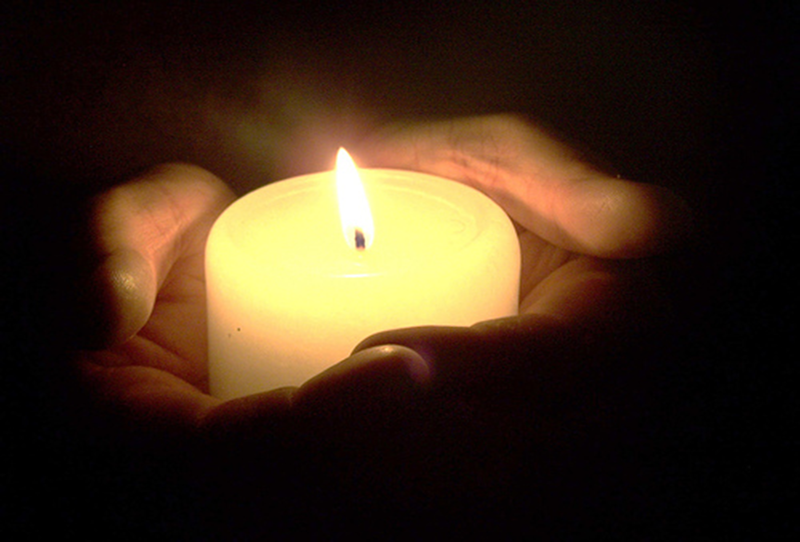 Mindful of this, we are setting aside space and time on the day before Easter to remember the ones we’ve lost and receive God’s loving embrace. 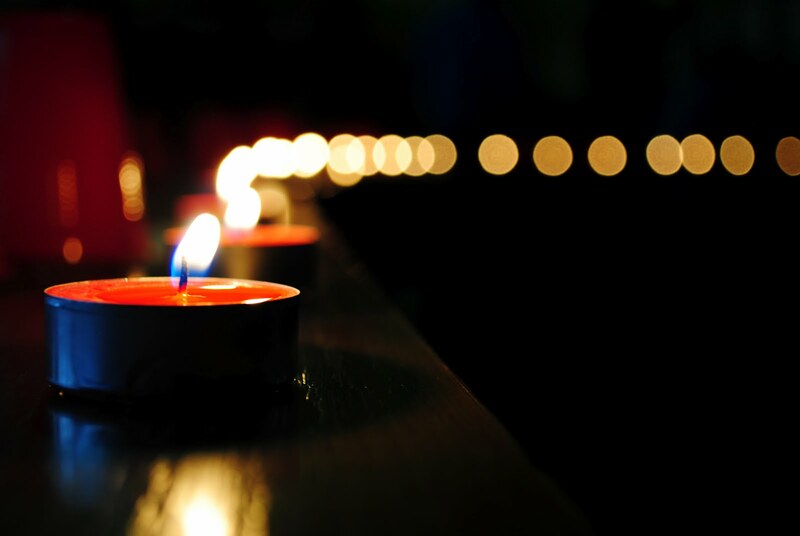 You, your family and friends are invited to a special Easter Memories/Easter Vigil worship with candle lighting, prayer stations and Holy Communion. Worship helps the light of Jesus’ resurrection shine upon our life. We hope this special Easter worship will help you remember your loved one, heal your grief and celebrate Jesus’ victory over death. You're invited to celebrate the resurrection of Jesus! This is a wonderful spirit-filled morning of worship. Overflow seating available in the updated Family Life Center. 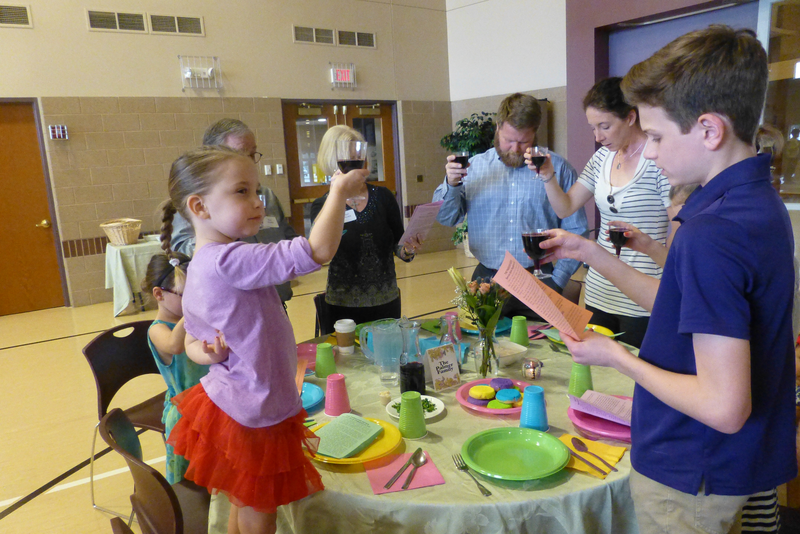 Easter Breakfast is available for a freewill offering to support the youth ministry.